I considered myself quite lucky when in 1996 I caught two legendary flash and funk showmen, James Brown and Screamin' Jay Hawkins, at the Petrillo Music Shell. 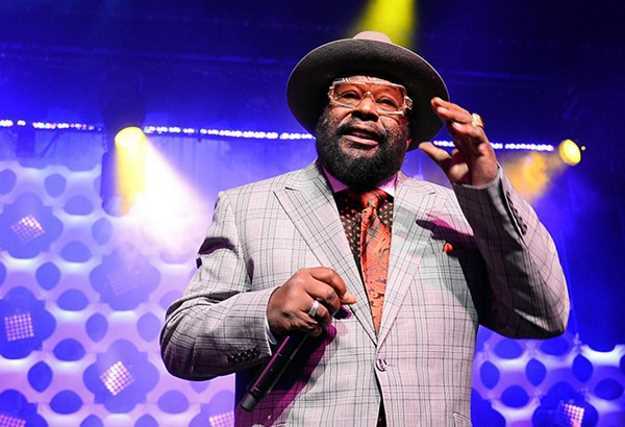 Recently George Clinton, who possesses the best aspects of both of these wild bandleading performers and who's slated to play the same venue as part of Taste of Chicago, admitted he isn't quite in top form these days. In a statement to Billboard he wrote, "Anyone who has been to the shows over the past couple of years has noticed that I've been out front less and less." With that, Clinton, who just had pacemaker surgery, announced his retirement from touring in 2019. Though he will continue throughout the end of this year, it looks like tonight's show just might be his last Windy City appearance (the traveling P-Funk party will most likely continue without him). Also this year, George Clinton's Parliament issued their first new song in decades-a beat-driven affair called "I'm Gon Make U Sick O'Me" that features rapper Scarface. While the track harkens back to the much-sampled electro-funk of 1982's "Atomic Dog," I've gotta admit it's not totally my cup of tea; it seems a bit desperate to appear "modern thug." But notably, it's the lead single off their upcoming LP, Medicaid Fraud Dog (their first since friggin 1980 under the Parliament moniker), which will feature horn veterans Fred Wesley and Pee Wee Ellis, both former JBs (as in James Brown, natch). Such old-timers will probably not appear at the Taste of Chicago performance-Clinton tends to favor younger musicians for that party-onstage energy-though recent tours have featured Blackbird McKnight (who's played with the Headhunters and Charles Lloyd). On the Parliament Funkadelic Wiki page I counted almost 200 members who have passed through the band and various funky offshoots, and I feel that must be some kind of record. My fave era of the band is its early super-psychedelic phase, where a heavy Sly Stone and Hendrix influence, combined with a unhealthy drug intake and a sense of musical abandon, propelled the band to still-unmatched heady heights-all while staying true to their roots in gospel, blues, soul, and, of course, THE FUNK (JB again, hello?). Set lists for 2018 show the band going deep into their nearly 50-year-old catalog, with tunes like "I Call My Baby Pussycat" (from their game-changing, criminally underrated 1970 LP Osmium), "Superstupid" (where they seriously outdo Black Sabbath's heavy-rock bluster), and "Maggot Brain"-perhaps their finest, most expansive bit of mournful psychedelia ever(though it's hard to imagine anyone but original genius guitarist Eddie Hazel wailing away on that one). In any case, this might be the last chance to see Clinton perform in person before he ascends into the Mothership, and to miss seeing him for free would be quite unfunky and way foolish (plus the people watching on the scene is bound to be epically freaky).